Learning you're pregnant when it wasn't planned can bring out a variety of emotions. It also leads to three choices: keep the baby, put him or her up for adoption, or have an abortion. When faced with this dilemma, many women choose to terminate the pregnancy. 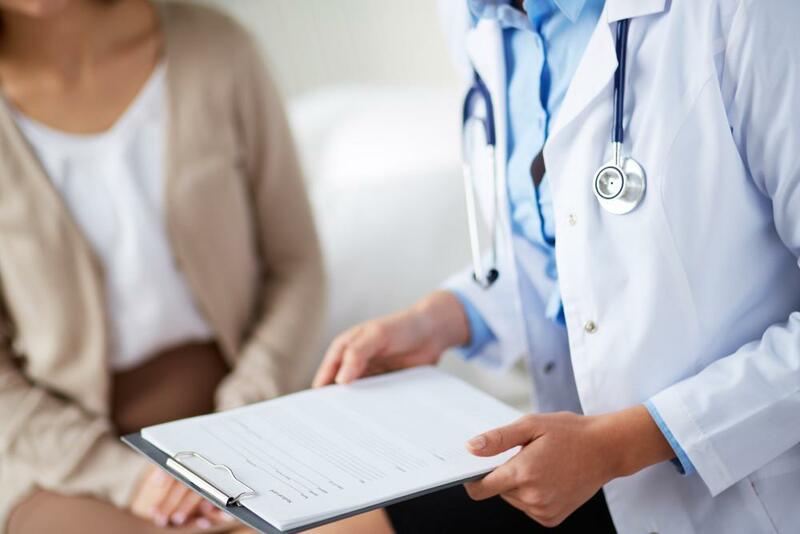 At Abortion Care, a private, patient-focused women's health practice in Somerset, New Jersey, the team of board-certified OB/GYN physicians and staff offers supportive, personalized care. For over four decades they have provided a full range of gynecological services including annual well-woman exams, STD screenings, and more, as well as obstetric care throughout pregnancy, labor, and delivery. They also offer family planning services ranging from contraception counseling to emergency birth control to first trimester abortions. Whether or not to get an abortion when confronted with an unexpected pregnancy is a very personal decision. Sometimes the answer is easy, other times it's complicated; but the only one who can truly make the choice is the woman herself. Being informed can help. Often called the "abortion pill," an abortion done using medication actually uses two drugs. Mifepristone is administered at the doctor's office and blocks the body's progesterone hormone, which is needed for a fetus to grow. The second medication, misoprostol, is typically taken at home 6-48 hours later. It causes cramping and bleeding to clear out the uterus and feels somewhat like having a very heavy period with bad cramps. Antibiotics are also prescribed. Medication abortions can be conducted up to 10 weeks (70 days) following the first day of the last period. If it has been longer than that, then a clinic abortion will need to be performed. Generally speaking, the abortion pill is very successful. It works about 98% of the time for women who are eight weeks pregnant or less, 96% for eight-to-nine weeks pregnant, and 91 to 93% for pregnancies at nine-to-ten weeks. Just like whether or not to have an abortion is a personal decision, so is which type to have. With a medication abortion, some women like that they can do it at home, or wherever they want, rather than in a doctor's office. They also like the ability to do it alone or choose who is with them. Finally, some feel that it's less invasive and more natural because it is similar to having a miscarriage. An in-clinic abortion involves dilating the cervix and using gentle suction to remove the pregnancy from the uterus. The procedure typically lasts between 3 and 5 minutes. It is also almost always successful, with statistics showing it works over 99% of the time. An in-clinic abortion can be conducted on a pregnancy that is between 5 and 12 weeks' gestation. Less cramping and bleeding may occur than with a medication abortion. Most women are able to go back to their usual routine the day after an abortion as long as they avoid heavy work or exercise for several days. Bleeding can last up to a week for an in-clinic abortion and a few weeks following the abortion pill. There can also be cramping for a couple of days. Both types of abortion are safe and will not affect a woman's health or the ability to have children in the future, assuming there are no rare complications that go untreated. It doesn't increase the risk of breast cancer or affect fertility. If you are confronted with an unwanted pregnancy, call or click to book an appointment with Abortion Care today for compassionate, personalized treatment. It may come as a surprise to know that if you’re sexually active, you’ll probably get HPV at some point in your lifetime. Find out why it’s so important to get tested, and learn how you can lower your risk of getting this common STD. Family planning gives you the ability to make the right choices for you and your current or future family. Learn more about the family planning services we offer. Having a well woman visit every year is one of the most important things you can do to stay healthy, no matter what your age. Here's what you can expect during your visit and why it's so important to schedule one every year. Family planning isn't just about birth control. It's about all the services that can help you be in control of your own destiny, including deciding when to have children and when not to. Learn more about the family planning services Dr. White offers. There are plenty of options when it comes to selecting a method of birth control - and a lot of surprising differences among different methods. Knowing your options is an important step in choosing the best method for your needs and your lifestyle. Have You Been Tested for HPV? With all of the talk about the HPV vaccine for teens, few people realize the importance of being tested for this disease as an adult. Find out what HPV is, how it is transmitted and how a simple test can save your life.